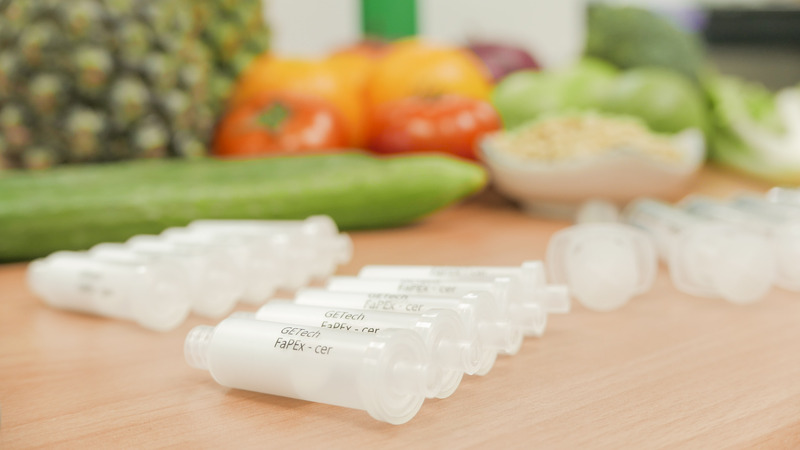 FaPEx is the abbreviation of Fast Pesticide Extraction, which is the fast extraction technique of pesticide residue in agricultural products. FaPEx is now the fastest method in the world. This technique was researched and developed by Taiwan Agricultural Chemicals and Toxic Substances Research Institute (TACTRI), and was awarded a patent by the Taiwanese government in 2015. FaPEx is easier and more efficient than the QuEChERS method. FaPEx provides the following benefits: triple the total efficiency, use less operating equipment, cut at least 60% of labor costs, use at least 50% less organic solvents, and have less waste.